Life is never easy when you’re a Galaxy Angel. The Angels must always make tough decisions like sacrificing their teammates to save themselves from humiliation or giant destructive dice. Just getting a slice of pizza takes planning a large-scale operation. Poor Vanilla can’t walk down the street without comedic hit men trying to make her laugh. They can’t even manage a drive through the desert without causing disaster. 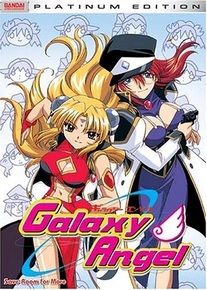 It may be their job to save the galaxy, but first the Galaxy Angels need to save themselves!